★MOUNTS ANY FIREARM: Suit for Smith & Wesson, Ruger, Springfield, Sig Sauer, Glock, Colt, Kel Tec, Heckler & Koch USP, Browning, Walther, Taurus, Remington, Beretta 92FS, Rossi. 38 Special and More; Available for Handguns, Rifles, Shotguns, Pistols, Revolvers, Magazine and More. Glock 9mm. 40. 357. 45 G.A.P. 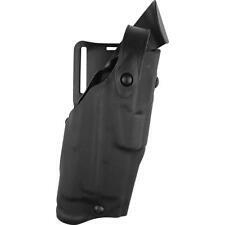 -Fobus Paddle type double magazine pouch. -Heckler Koch H&K 9mm. 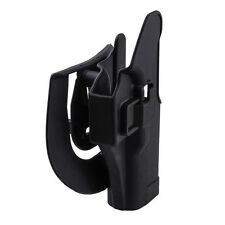 40. our factory have a lot of this holster. The Recover Rail is engineered to fit perfectly on any Glock 43 pistol. Most stable rail solution for the Glock 43 platform. (Not Compatible with the Glock 42). Glock 43 Rail Adapter. Glock 43 ALL Generation. The heavy duty belt clip ensures your holster stays put when you draw your gun no matter the situation. 1 x Concealed Carry Holster. 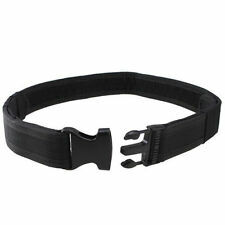 It is designed to be worn inside or outside the waistband for concealed carry. This sock fits the 4"-6" Luger, the Swiss Luger, Stoeger Lugers, Ermas, etc. We also have socks to fit all other WWI, WWII side arms. They can also be used a protective cover for your gun to keep out dust and help prevent scratches. Choose Your Holster - Available In Several Variations! Tek Lok can be permanently locked. Tek Lok can be easily removed from the belt by pressing the two locking pieces together. 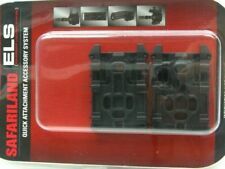 Accessories: 2 sets of clip screw. You can follow below process to chontact us. Material: ABS Plastic. Color: Black. 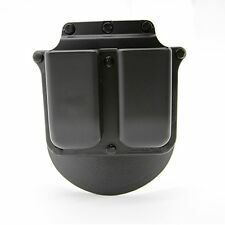 Fits Glock 17 19 20 21 22 23 25 31 32 34 35 37 38. Glock Grip Glove/Sleeve made from durable rubber. - Quick & easy install. - Tactical Enhancer. Ammo Belt/Pouch. Fits 12ga, 20ga Shotgun Over the Shoulder and Across the Chest. Tactical Clothing. 1 x Shotgun Shell. Hunting Accessory. Tactical Flashlight. Belts & Strap & Girdle. Easy and perfect hunting belt. Get yourself the easy solution that mounts quickly in almost all cases and gives you the ultimate convenience you need. Shotshell carrier for Remington holds 6 rounds for your convenience. Easy access, easy to reload, waterproof, tough, and rugged design. The holster can be used for concealed carry Makarov pistol (IWB), and to be worn on a belt OWB. The holster is made of soft, durable leather. Holster used inside the pants and retained by a special clip. Item Type: Bandolier Belt. 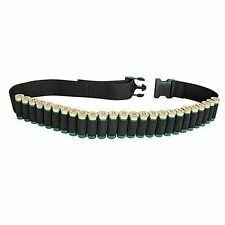 1 Bandolier Belt. Suitable for all combat uniforms, perfect tactics hunting accessory. It can fix the 12 GA bullets to prevent them from falling off, max apacity for 50 rounds. Most stable rail solution for the Glock 26 and Glock 27 platform. The Recover Rail is engineered to fit perfectly on all generations of the Glock 26 pistol. Glock 26 Rail Adapter. Glock 26 All Generations. Compatible with Glock 17 19 22 23 31 32. Can be attached on the waistband and fasten to the leg. 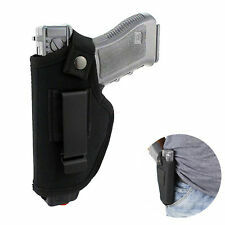 This Holster fitsGun Model Glock17 19 22 23 31 32. Speed-cut design allows rapid draw, target acquisition, and re-holster while keeping eyes on target. Trending at C $25.59eBay determines this price through a machine-learned model of the product's sale prices within the last 90 days. 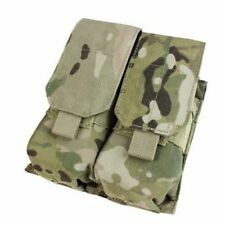 Molle System Pouches. Rifle Sling. Tactical Holster. Gun Cleaning Kit. Tactical Vest. Tactical Belts. Tactical Clothing. Gun Bag & Case. Hanging your pistol or revolver in an accessible location like under a desk! Tough enough for almost any firearm and an overall great price for a device that will aid in maintaining a weapon within reach when one may or may not be needed! Official ZenitCo dealer. RK-6 Classic grip ZenitCo Black color. RK-6 classic grip made by ZenitCo is milled products made of aluminum alloy D16T, designed for installation on a regular place. RK-6 classic grip -1pcs. Non US Orders Will Be Shipped From China Features: Perfect design for hand orientation. Can Be Rotated for Left or Right Hand Draw. Left or right to fit your carry preference. Invisible and conceals well: You can wear it in almost every situation! Whether you dress up for the office or go to the gym, The Belly Band can be there, totally concealed and ready! It is designed to hold variety of guns with proper fit. Overall length supported: 4" - 8". To ensure handgun fits, measure the length from the tip of the muzzle to the curve in the grip. Fits most handguns su Package Includes: 1 x Belly Band Holster. TRUST INDUSTRY STANDARD PACHMAYR RUBBER! - Black Pachmayr rubber stretches and holds nicely, gives you the kind of durability you need, and doesn’t stand out in open-carry situations. GET A GRIP! Trending at C $14.14eBay determines this price through a machine-learned model of the product's sale prices within the last 90 days. HIGHLY ELASTIC HOLSTER: Our gun holster fits small subcompact, compact, and even full size pistols and revolvers. 380, 9mm, 40 auto, 45 ACP, 38 special, 357, and 10mm etc. Can be worn inside the waistband, outside the waistband, cross body, appendix position, 5 O'clock position (behind hip), small of back, and even high up like a shoulder holster. Supplied with Inserts that can be added or removed to fit a variety of popular pistol magazines. Suitable for Marui, KSC, WA, WE double stack / drum type (including SV Infinity / STI / Para / Hi Cap / GLOCK / USP). 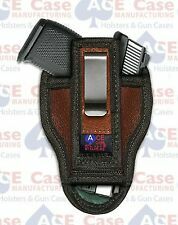 Adjustable size: perimeter 38cm Model: Drop Leg Holster Made from lightweight and durable polyester, versatile design Fits most medium to large frame hand guns Fully adjustable, non-s, and removable leg strap for comfort and retention. Trending at C $10.90eBay determines this price through a machine-learned model of the product's sale prices within the last 90 days. Loader & unloader set (p/n LU30B) Since 2001, maglula Ltd. Israel manufacture professional military-grade tools for loading and unloading magazines. Maglula currently holds 9 US patents associated with magazine loaders. The heavy duty belt clip ensures your holster stays put when you draw your gun no matter the situation. 1 x Concealed Carry holster. The snap on our retention strap is strong enough that it won't fail yet easy enough to pop that you can still quickly get to your gun in a bad situation.